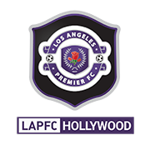 Come play for LAPFC Hollywood! We are looking for players (boys and girls) in ALL AGE GROUPS 2003 AND YOUNGER for the 2018-2019 Season! ©2019 LAPFC Hollywood / SportsEngine. All Rights Reserved.